With thanks to Mary Ackroyd nee Hinchliffe via Alan Pickles. Sylvia Spence Christine Jackson ? Rosemary Snowdon ? 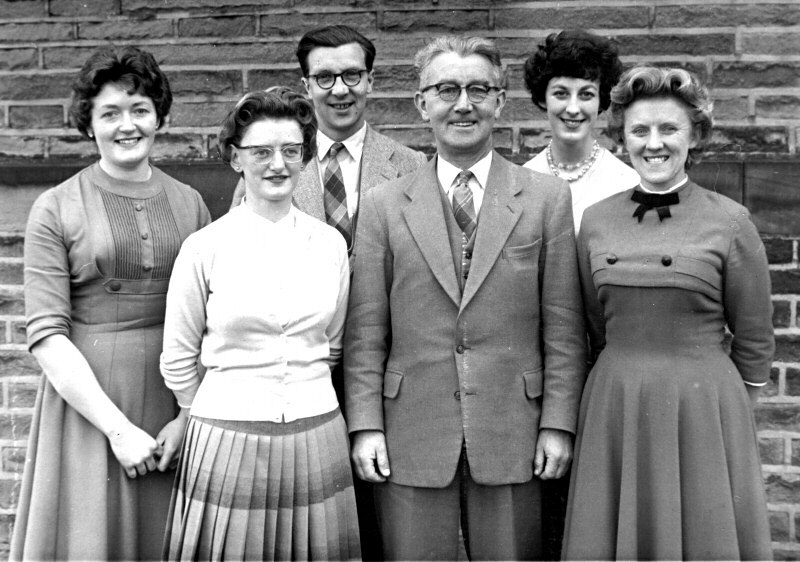 Susan Davy Jane Miles Eiline Parker Jaqueline Chainey ? 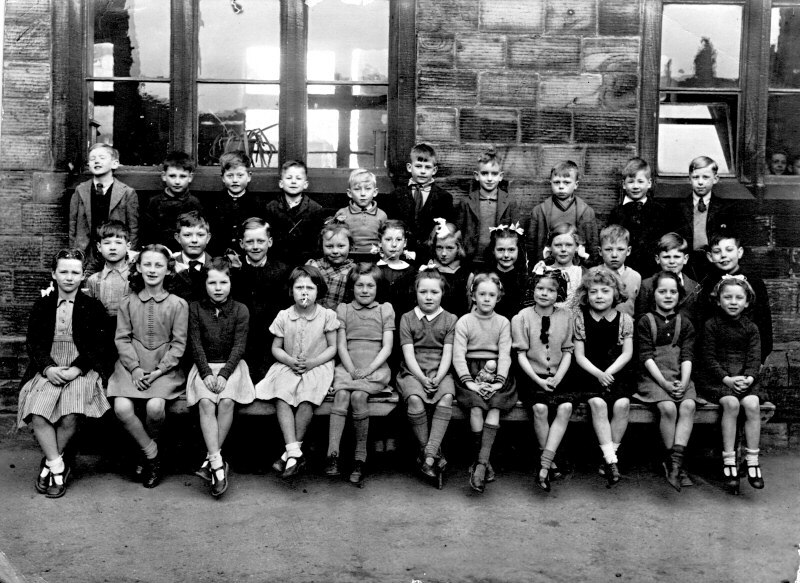 Elaine Barret was absent that day, as was a boy called Peter Stuart (or something like that). 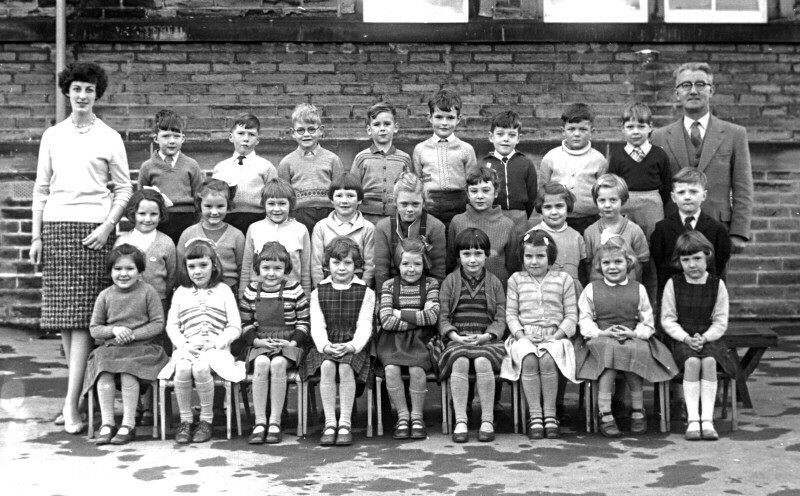 Shaun Davy was in Mrs Baker's class but his parents wanted him on the same photo as his cousin, Susan Davy. 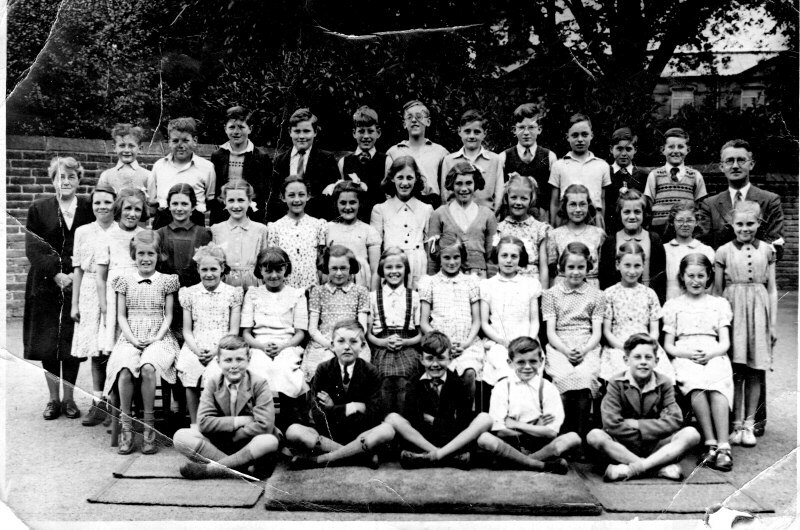 c1951 Mary Hinchliffe is second from the left on the front row. 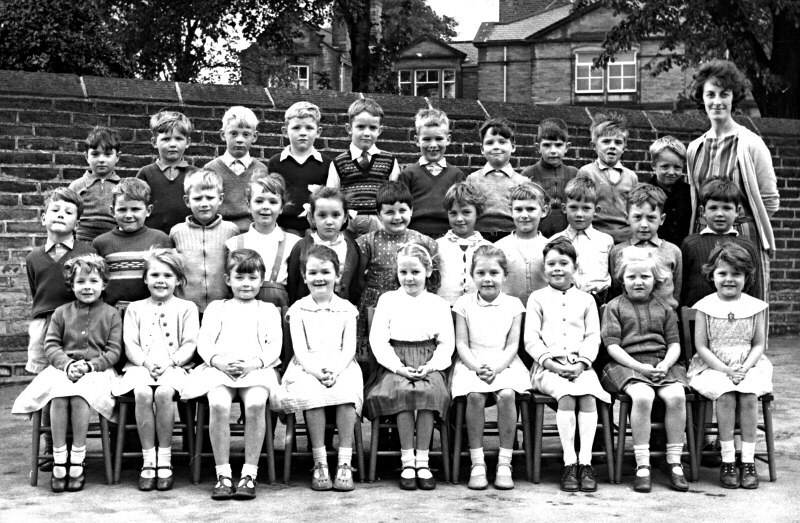 Miss Hinchliffe's class, early 1960s. 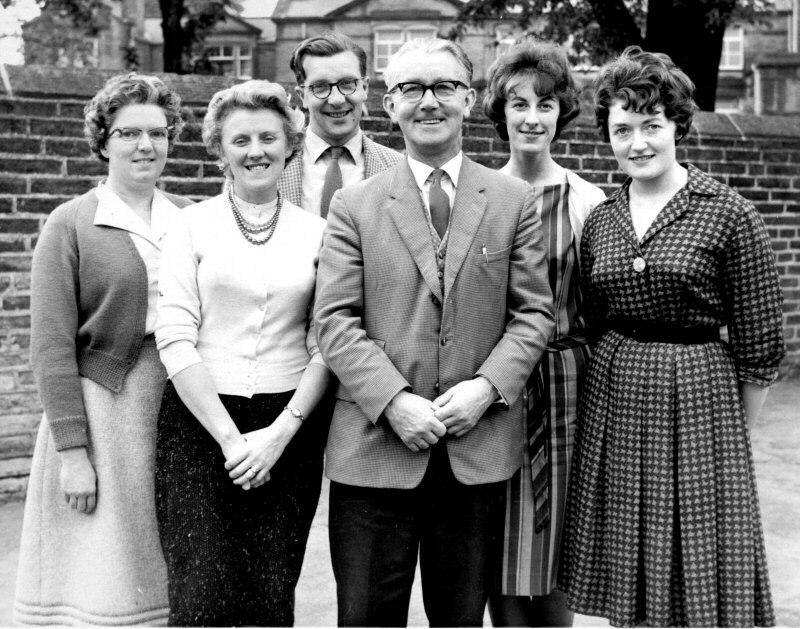 Miss Hinchliffe's 1964 class, complete with names, can be seen on this page.